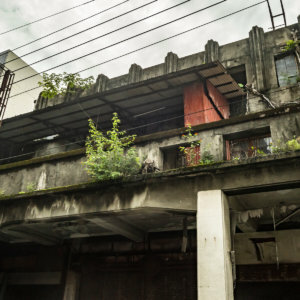 Despite its relative obscurity Xīnyíng 新營 is the largest settlement along the railway line between metropolitan Tainan City 台南市 and Chiayi City 嘉義市. It is the former capital of Tainan County prior to amalgamation in 2010 and remains the second administrative seat of Tainan 台南 alongside Ānpíng 安平. 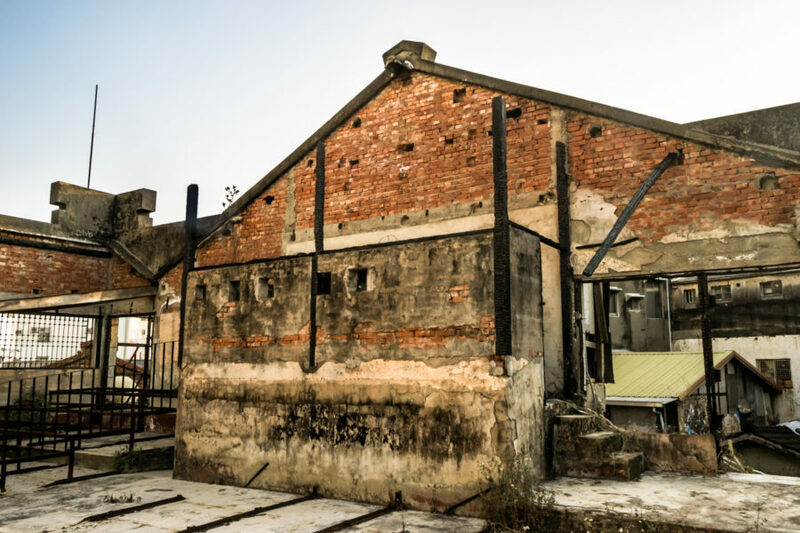 Located on the broad and fertile Chianan Plain 嘉南平原, it was also an important transportation hub for the sugar industry, and what remains of the Japanese colonial era sugar factory can still be found on the south side of town. 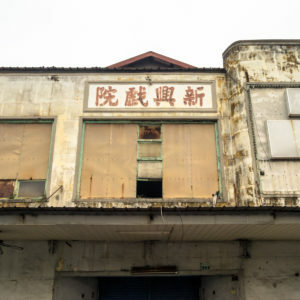 These facts—the size of the town, its former importance, and the presence of a sugar factory—suggest that Xinying was almost certainly home to several standalone movie theaters in its heyday. 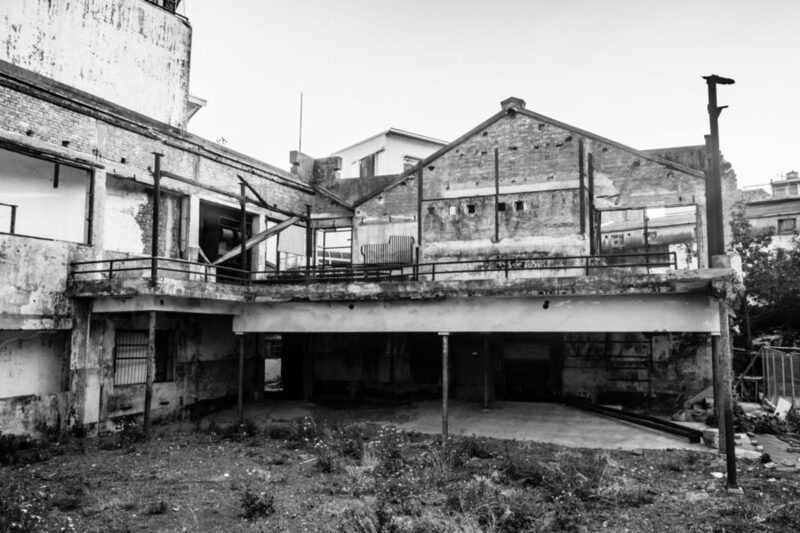 After doing some research online I established that this was indeed the case—and in February 2017 I swung through to investigate rumours of several old theaters. 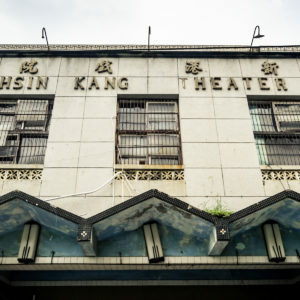 One of these turned out to be a rather unusual example of a ruined KMT authoritarian era cinema by the name of Chénggōng Theater 成功戲院. These metal frames would have once held movie posters. The faint outline of the theater’s most recent name can still be seen if you look closely. The theater itself is set a ways back from the street. 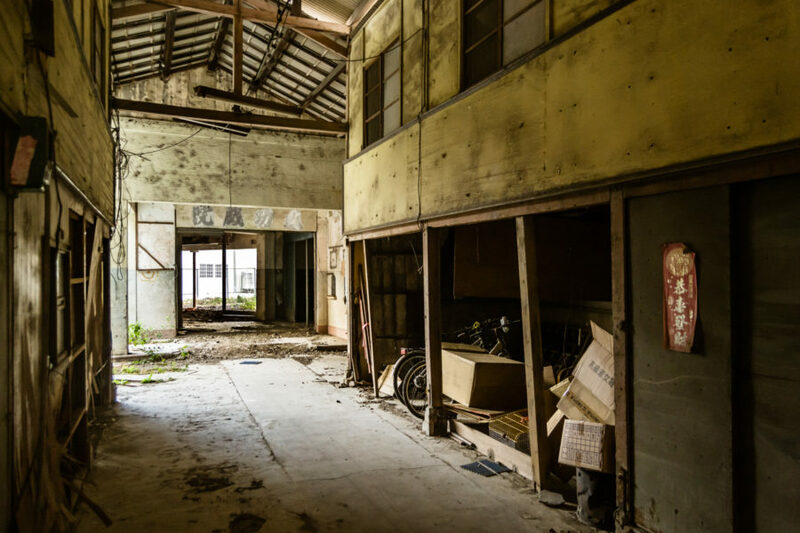 This lobby might have once been lined with snack and drink vendors. 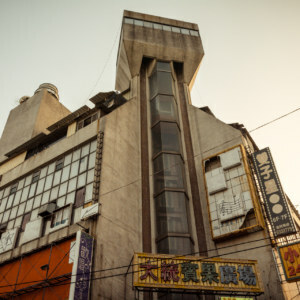 Old entertainment districts are typically located in the vicinity of the main train station in small to mid-sized Taiwanese cities like Xīnyíng 新營 but the sugar factory, with its thousands of workers, pulled the economic center of gravity to the southwest. All six theaters I found information about were located in the area just north of a bridge leading over the sugar railway tracks from the factory itself. The oldest of these was founded in 1933 as Xīnxìtái 新戲臺 and destroyed during World War II. 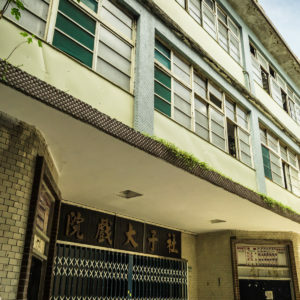 The eponymous Xinying Theater 新營戲院 was built in the post-war period and ran for decades before it was demolished sometime in the last few years. 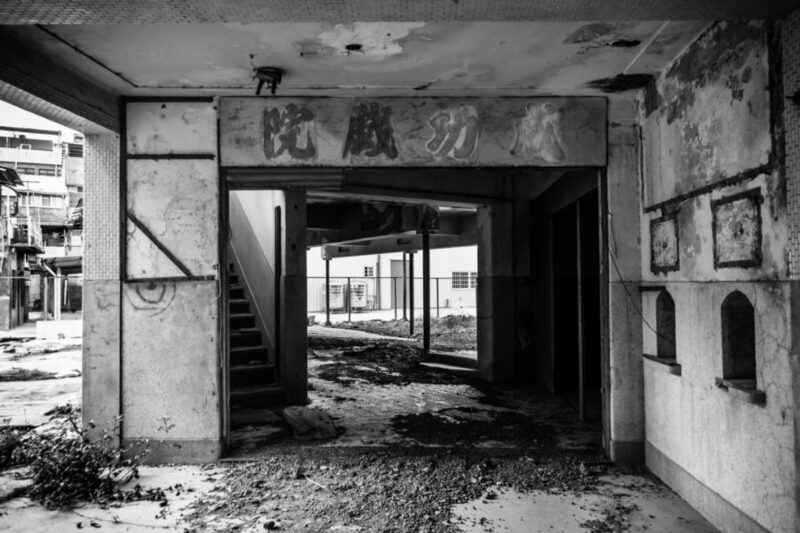 Kānglè Theater 康樂戲院 appears to arrived on the scene somewhat later and closed in 2002. I went to have a look but it didn’t look all that interesting nor was it accessible. The tiled ticket booth, a classic aesthetic. 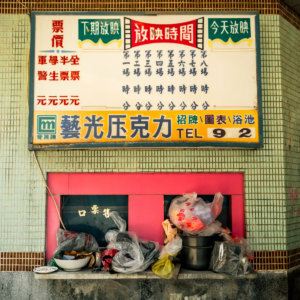 This brings us to the ruins of Chenggong Theater 成功戲院, later known as Xìrúrénshēng Grand Theater 戲如人生大戲院1 prior to going out of business in the late 1990s. 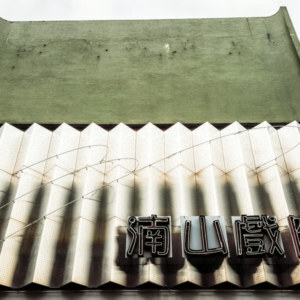 Some local photobloggers have done a great job documenting this old theater after it nearly burned down in 2011. This appears to have been the pretext for sharing a bunch of before and after pictures here and here. The author mentions that property rights were transferred in 2012 and the theater was scheduled for demolition—so when I visited in 2017 I wasn’t expecting to find anything left of it. 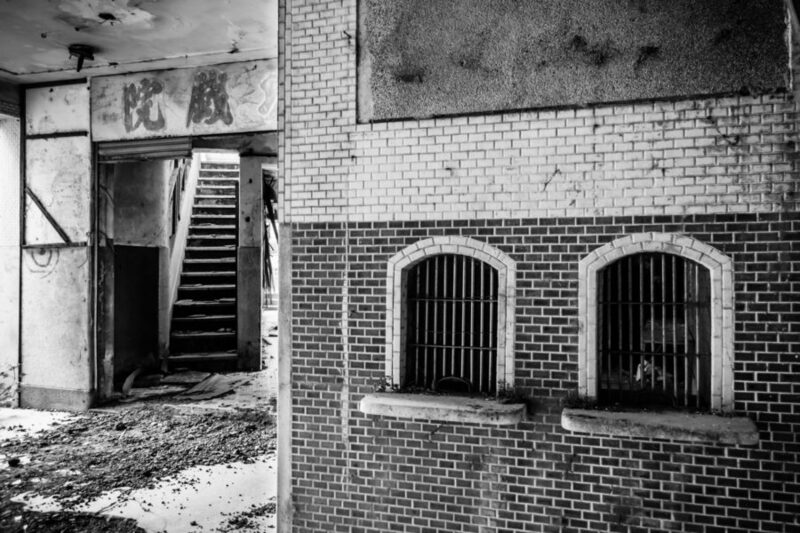 Two ticket windows on the side and a glimpse of the stairway leading up to the balcony level. Some effort has been taken to scrub the older version of the theater’s name from the entrance. Only the far end of the theater remains; the rest has been completely demolished and removed following a fire. 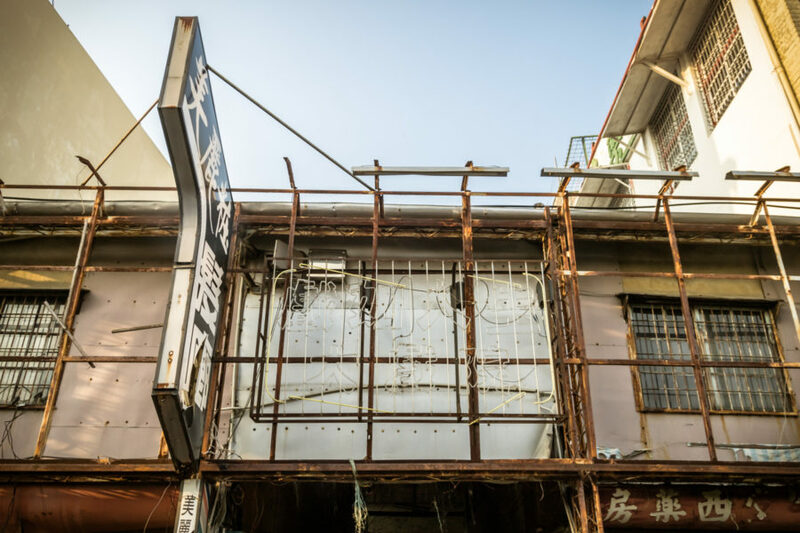 Chenggong Theater is set back from the street a ways and, as such, it isn’t visible on Google Street View. I only had a very general idea of where it might be based on sleuthing around satellite maps for theater-sized buildings and looking up the names of some businesses that appear in the photographs of the previously cited bloggers. Armed with this basic information and no expectations I did a lap around the block looking for clues. 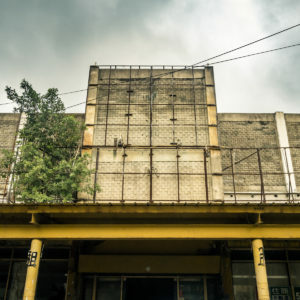 The first time around I walked by the entrance without realizing it—but as soon as I came around the other side of the block I saw the stark outlines of the mostly demolished theater on the far side of a fence at the back of a parking lot. Circling back, I found a bunch of old aunties chatting in the shade of an awning across from the entranceway. Since they took notice of me I asked permission to take some photos and they warmly waved me in. Thanks, aunties! 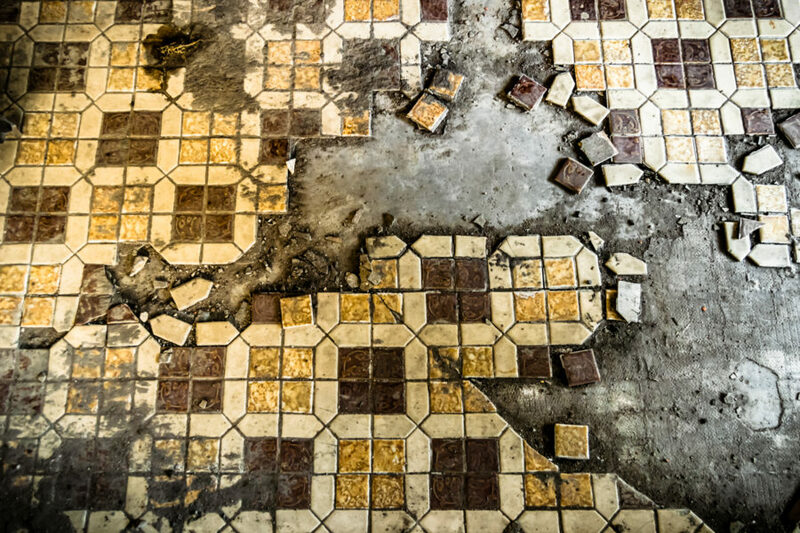 Broken tile along the corridor at the back of the theater. Looking back at the ticket booth from beneath the balcony level. 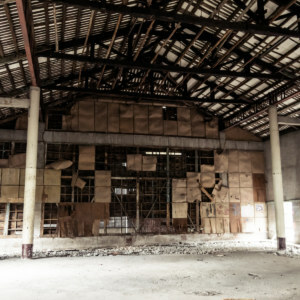 The interior of the old theater proved to be mostly empty. After the fire most of the debris has been removed and some effort has been undertaken to tidy things up. Most curious is the fact that whoever knocked down most of the walls and removed all the rubbish inside didn’t finish the job. 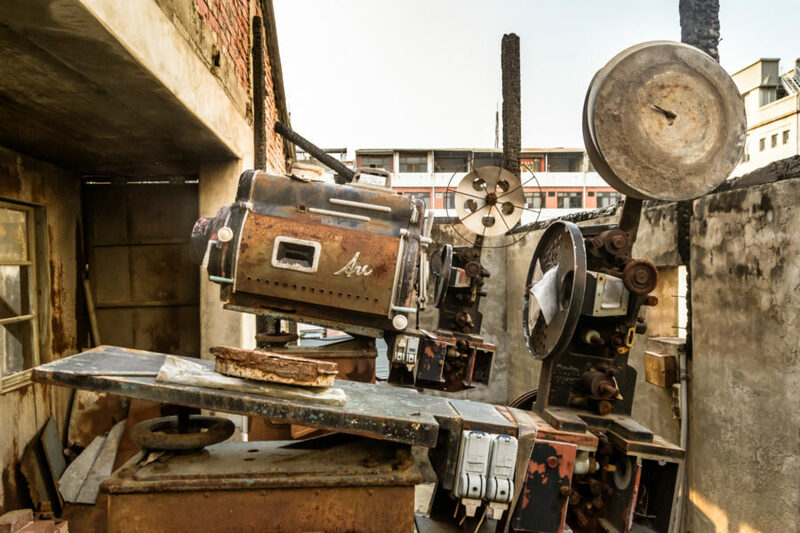 Miraculously, the back third of the building is still standing, and a vintage movie projector remains in place, rusting under the open sky. 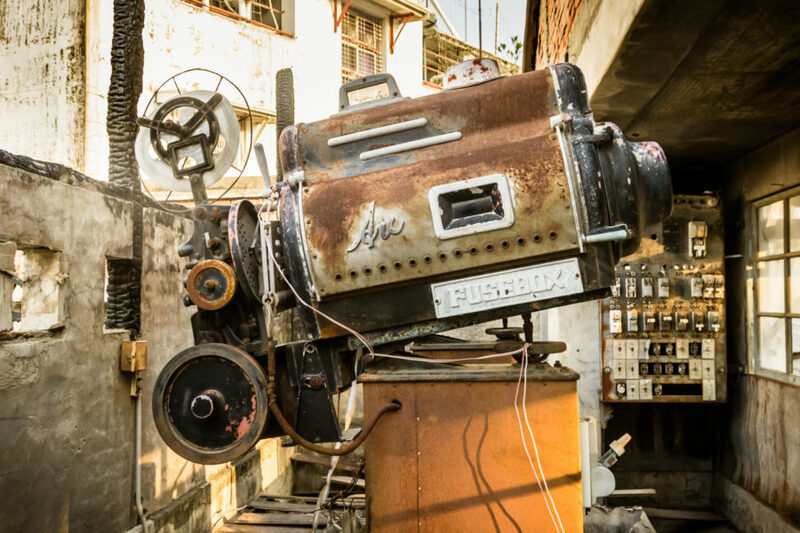 An old movie projector rusting under the open skies of Tainan. 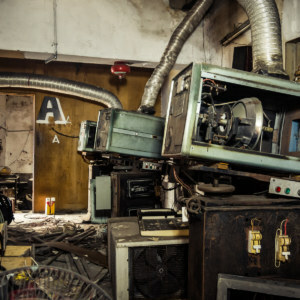 I am intensely curious about the history of the remaining projector but haven’t found anything at all about it online. It was manufactured by The Cow Co., Ltd., and it’s branded as a Super Cow High Intensity Arc Lamp, but Google reveals nothing. 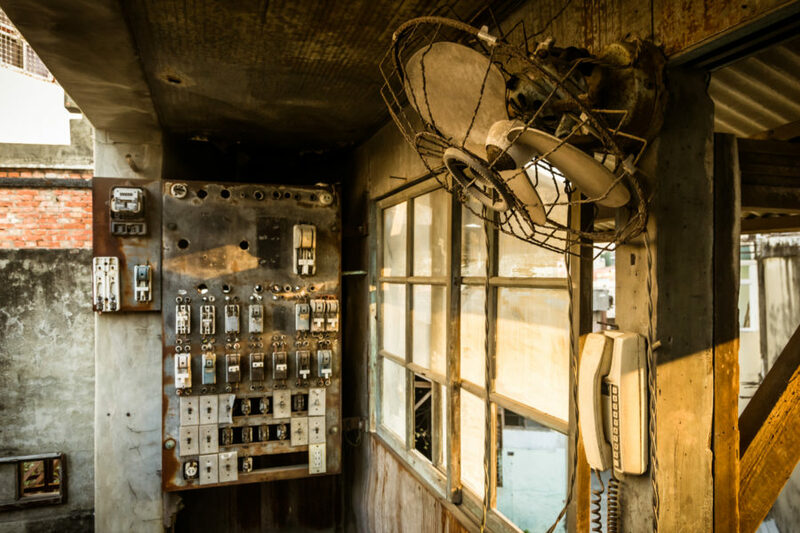 I wonder if it’s an older carbon arc lamp, which were in use until the mid-1960s, or a newer xenon arc lamp? It certainly looks like an antique from the 1940s or 1950s. 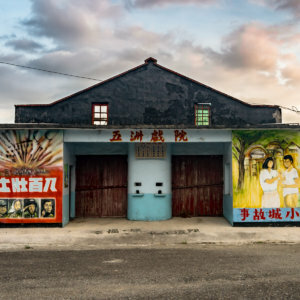 An open air projection room in Xinying. A closer look at some of the other equipment in the projection room: fan, phone, and switchbox. Time to make an exit. 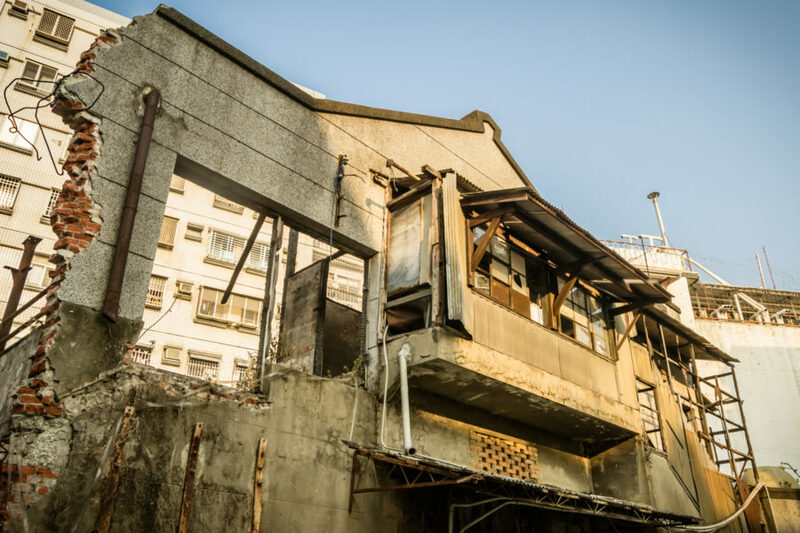 One last look at the broken remains of Chenggong Theater in Xinying, Tainan. 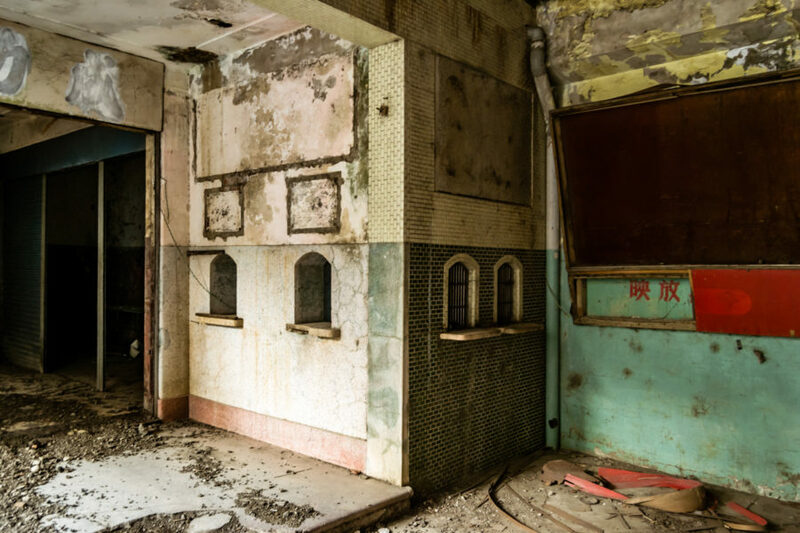 What will become of the shattered remains of this old theater now? 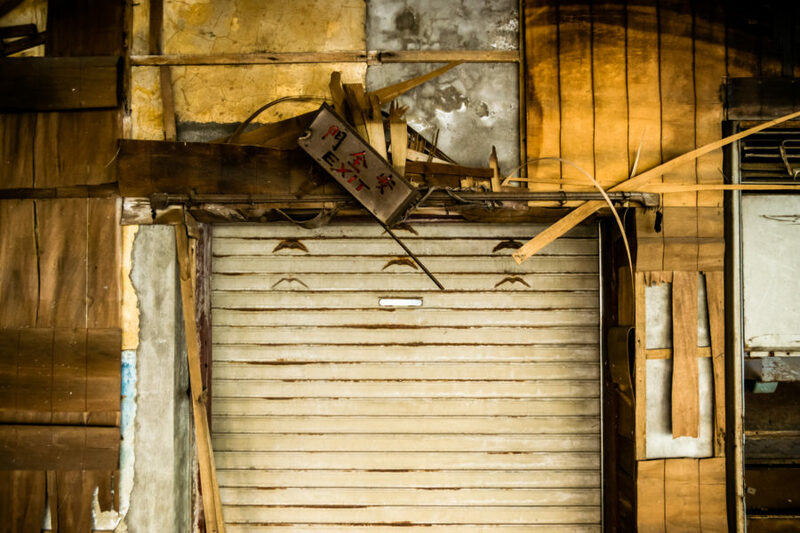 I can’t imagine it remaining hidden behind the market streets of Xinying for very long. 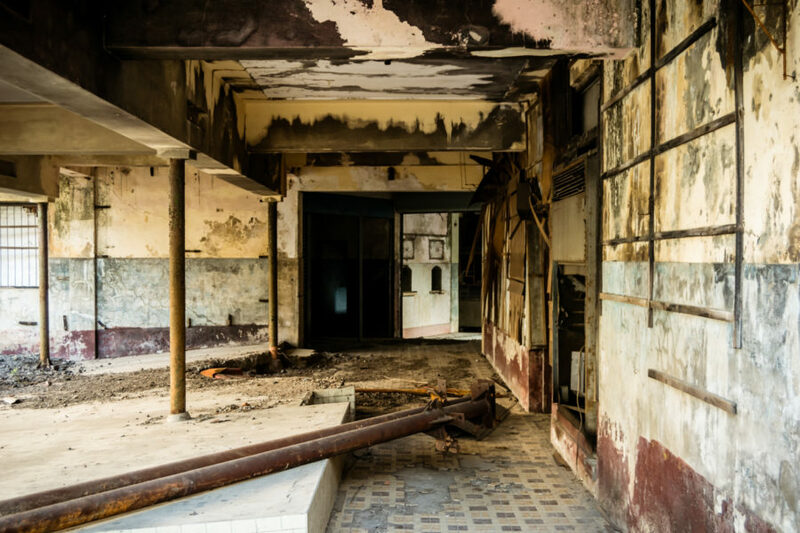 While the town’s fortunes have obviously faded such real estate is still highly-prized—which may have something to do with that mysterious fire—but it’s just as unusual that anything remains at all. 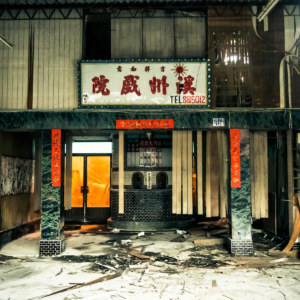 Chenggong Theater was never big or fancy but its present level of exposure to the elements conspire to make it a rather unique object of interest for those of us documenting the decline and disappearance of the theater industry in Taiwan. Beautiful text and images. Thank you. but I didn’t recognize too much before read your article.